Thank you for attending the 2016 Northeast Regional NACD Conference! Please share your feedback through our online Evaluation. The New Jersey Association of Conservation Districts and our partners were very excited to have hosted this year’s conference. Our goal was to design a conference with a varied menu of tours, programs, speakers and experiences that offer enjoyable and worthwhile opportunities for all. After spending a few days in the Garden State and exploring the diverse conservation opportunities in the agricultural, coastal, natural (Pinelands), and urban environments found throughout New Jersey and the northeast, we hope that all participants gathered ideas, resources, connections and tools, and took home a “cookbook of conservation recipes” to try in their own regions! Please continue to share your recipes for success with your colleagues! If you were inspired by Keynote Speaker, Dr. Doug Tallamy, professor at the University of Delaware, who shared a “recipe” for successful habitat conservation and a sustainable future, be sure to explore his book, “Bringing Nature Home”, to learn more about conservation efforts you can apply to your own yard. 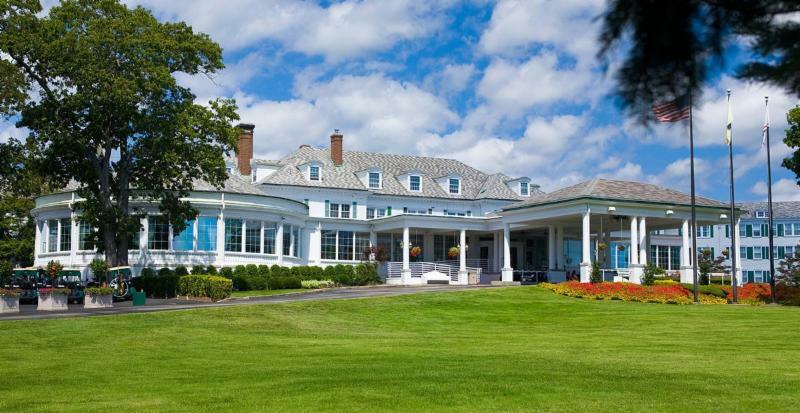 Nestled within 670 wooded acres along the pristine shores of Reed’s Bay, the historic Stockton Seaview Hotel and Golf Club in Galloway, NJ, offered an ideal setting for productive and inspiring meetings. With 34,500 square feet of flexible space among 21 meeting rooms, complimentary wireless high-speed Internet, dedicated on-site event coordinators and award-winning cuisine, Atlantic City meetings and conferences at Stockton Seaview are more than memorable. Click on the links below for more information about the 2016 Conference!